Mainstream Christians of the "eternal torment" variety often haven't thought very much about what they say they believe. Just a few simple questions soon gets them to realise this. In fact, I am beginning to use the following set to actually get some conversations started. 1. 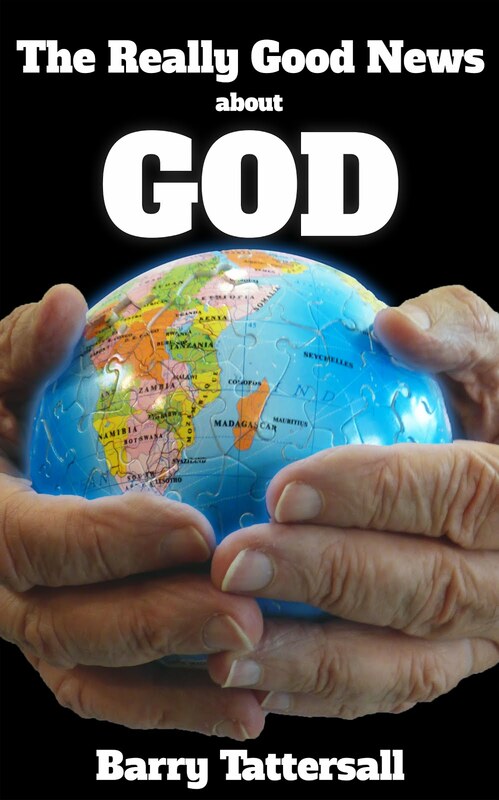 What do you think is God's plan for mankind and the world? 2. Do you think he will be successful? 3. Do you think Satan is more powerful than God? 4. Do you think our will is more powerful than God's? 5. Whose sins did Jesus pay for? Most church-goers, regardless of their stated "eternal torment" position, will be inclined to answer these questions in ways that are far more consistent with the universal reconciliation view than with their own. But they're still reluctant to give up their original position. Discussion, Bible verses, logic, don't work very often. Truth just needs to be revealed. I guess that's never changed. I keep bumping into references to first fruits in the Scriptures lately. Which is interesting, because one of my current personal study topics is The Feasts of Israel. In Israel's agricultural economy, the first fruits were the first sample from the crop that were presented to the Lord. It was a display of gratitude to God for the crop and the fertility of the land which produced it, and a sign that the rest of the crop was pending and also belonged to the Lord. Jesus is the first fruits of those who are to be resurrected, showing that all believers will share in his new life. But each in turn: Christ, the first fruits; then when he comes, those who belong to him. Believers in turn are the first fruits of all creation, showing that everyone will share in that new life eventually. Jewish believers were also first fruits, showing that all Israel will eventually be saved. "If the part of the dough offered as first fruits is holy, then the whole batch is holy; if the root is holy, so are the branches." The principle of first fruits says so much about our topic of the salvation of all. Indeed, there are some wonderful lessons to be learnt by looking at God's dealings with Israel, and from the feasts in particular. Would you like to hear more about the feasts here, even though most are not really relevant to our main topic? Let me know - yea or nay. I have possibly discussed this here before, but Rog raised the question in his comment this morning on the Willy Wonka post (20th April), so I'll address this topic here. As mentioned in my short reply there, I still have so many unanswered questions about the kingdom. What is the difference between the kingdom of God and the kingdom of heaven (if any)? When is the kingdom in operation - now or the future or both? Who are its leaders, who are its citizens without leadership roles? Is it physical or spiritual, or both? Does national (redeemed) Israel have a special role? Of course Rog is correct about salvation. We will all "get there" in the end because God will make sure he gets what he desires. He has chosen to redeem us all and THE Sovereign of the universe gets whatever he decrees. The kingdom is for those who have been chosen to believe in this age. They have been given life in the age and are the first to be saved, a kind of first fruits of the total harvest of souls. The leaders (co-rulers, administrators, managers, vice-regents) in the kingdom are those who have used their chosen position to prepare themselves for these roles. So I think the Willy Wonka movie is demonstrating how Satan, as an employee of God, provides the trials and tests over which we have the choice to be victorious, to be faithful, or NOT. Only Charlie valued his everlasting gobstopper and stayed true to Wonka's requirements, regardless of the tests Slugworth provided, and was thus rewarded with the chocolate factory. Charlie inherited Wonka's Chocolate kingdom. Similarly, those who have built works that withstand God's fiery inspection will earn the reward of a position as co-ruler with Christ in the kingdom (the reward is NOT salvation) . See 1 Cor 3 : 10 - 15 for reward conditions of those whose foundation is Christ. See also Rev 19 : 7 - 8 indicating that it is the bride's efforts that make her ready to share the throne with her bridegroom. Salvation is a gift for all eventually. The order we are chosen to receive it is entirely up to God, as all gifts are given in the timing of the giver. Kingdom rulership is awarded to those who have already been given the gift of salvation and who have prepared themselves for a leadership role. ruling in the kingdom is a reward. Would love to hear from you here on the blog. Had some interesting thoughts on the Garden of Eden recently, which I am currently exploring. First, before eating the forbidden fruit, Adam and Eve had no knowledge of evil OR good. I had always assumed they had no knowledge of evil, but hadn't realised they had no knowledge of good either. How could they know good, if they'd never experienced anything else? You would just think that what you constantly have is IT. This is true for lots of things. We never know what good health is until we experience illness. We never know what wealth is until we experience poverty. We only know something is good (or bad) AFTER we have experienced the opposite. Aussies who return from an overseas trip often comment they didn't realise how good things are here until they had seen the horrible conditions under which so many others have to live. I am sure Adam and Eve learnt how good things were in the Garden of Eden after they had been expelled and had to work for their food, had to cope with a murder in the family, etc. Second, the Garden of Eden may not have been the paradise I first imagined. Adam and Eve lived in the company of God AND Satan. They had the choice whether to listen to God or to Satan every day of the week. While they were listening to God, enjoying fellowship with him, and following his instructions, they had nothing but good. But as soon as they made the choice to listen to Satan, it all fell apart. It has occurred to me that maybe the Garden of Eden was not as unlike the conditions under which we live as I used to think. We live in the company of God and Satan. We have the choice whether we listen to God or to Satan every day. Listening to God, living in fellowship with God and following God's instructions is still the way to go. But let's be honest about this comparison. They did not yet have the sinful nature they eventually passed on to us. Was that already built into their DNA that guaranteed their disobedience? Were they like us in the sense that they could not not sin? After all, God has said that he has bound everyone over to disobedience (so that he may have mercy on all). And they probably had fewer sources of evil and temptation around them than we have. We have so much around us; they only had one snake to deal with. Third, I wonder how the living conditions in the Garden of Eden would compare with those in the coming kingdom? At least in that kingdom, Satan is bound.